Jeff and I met at a Halloween party that a mutual friend was hosting. I didn’t want to go because I had helped my parents move all day and he didn’t want to go because he had his kids that night, but she wouldn’t stop bugging either of us so we both found costumes. The party was a small event, so we both felt like everyone was watching us, waiting to see if sparks would fly. We went on our first date a few days later. Many adventures followed that first date, from trips to flooding during Hurricane Harvey and moving in with my parents while we repaired our house. We actually got engaged while hiking a trail in Big Bend National Park. I was walking ahead and Jeff asked me to come back and take a picture with him, when I turned around he was on his knee with the ring in his hand. I was so excited, I ran over and took the ring from him and put it on my own finger. I didn’t even say, ‘yes’ at first. 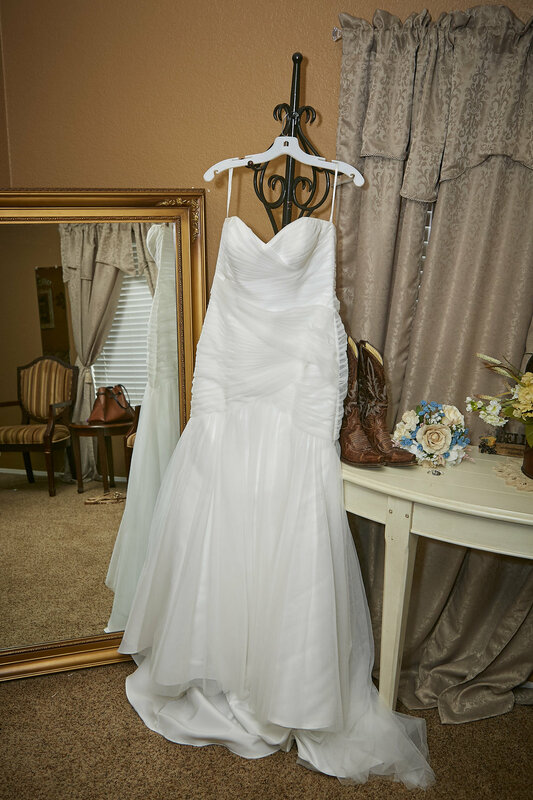 Prior to picking a wedding venue near Houston, Jeff had shared that he would like to be comfortable and wear jeans and boots if it was alright with me. That made the rustic theme easy to pick. 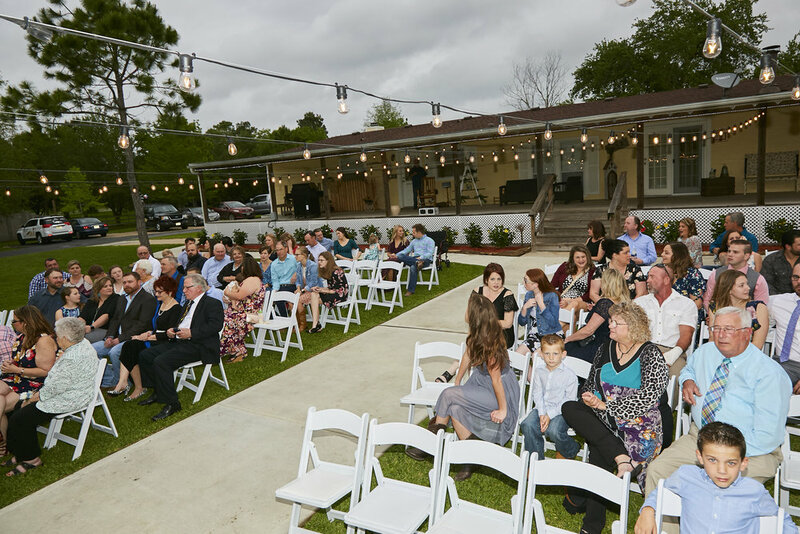 When deciding on the wedding venue near Houston, Jeff and I looked at one place, County Line Event Center. We absolutely loved the outdoor space to have the ceremony and we thought the separate indoor space with the exposed beams was beautiful. 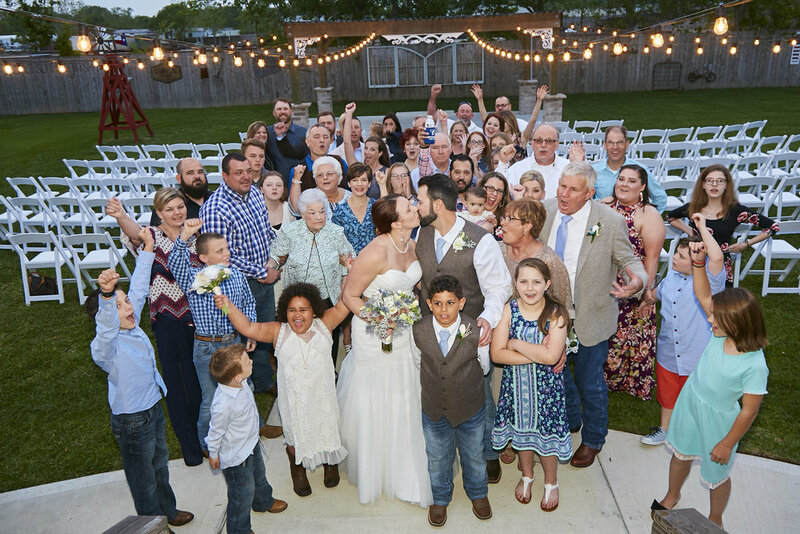 On top of a beautiful venue, County Line Event Center provides affordable wedding packages that include everything (catering, cakes, officiant, and decor) for a stress free wedding. Jeff and I immediately knew that County Line was the place for us and signed a contract the same night we went for our first visit. The County Line Event Center made everything extremely easy. One night we went in tasted food and cake, meet with the florist, and picked centerpieces for the tables. In the weeks leading up to the wedding, my phone calls and emails were promptly answered and I was never made to feel like a burden. 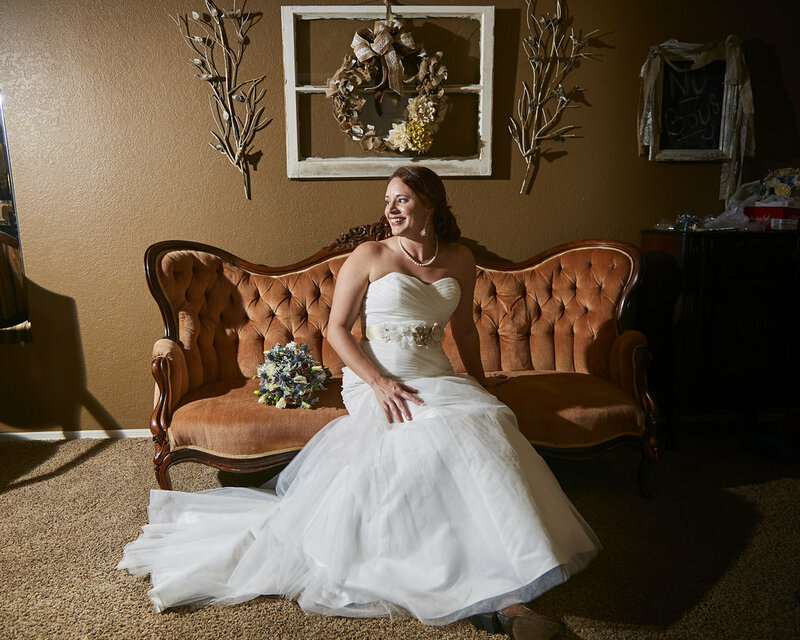 On the day of the wedding, the entire County Line staff along with Magek Photography were amazing. 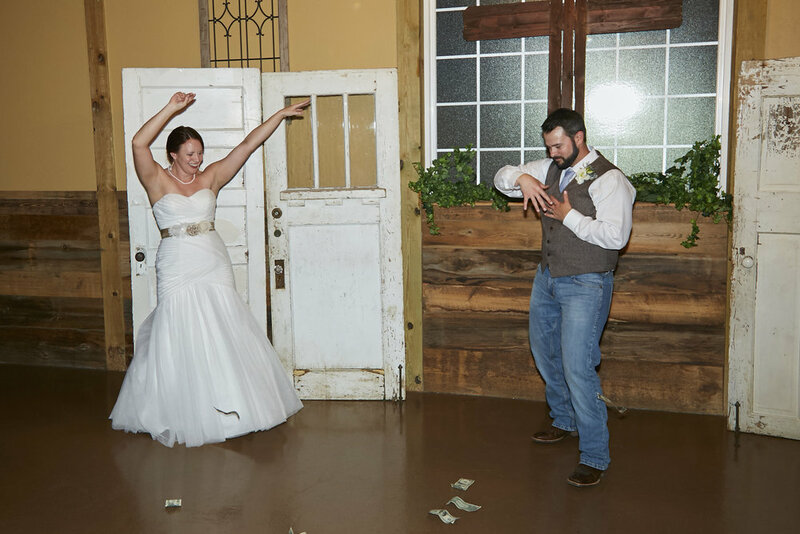 County Line provided a coordinator who handled everything, and Magek Photography captured every single expression and unique moments of our wedding, we couldn’t have been happier. The family that owns County Line Event Center go above and beyond to make sure everything goes as planned. Our special day and the months leading up to it were stress free thanks to them. What is special about you as a couple and how you handled planning your wedding? I think what is special about us is our ability to work together as a team. 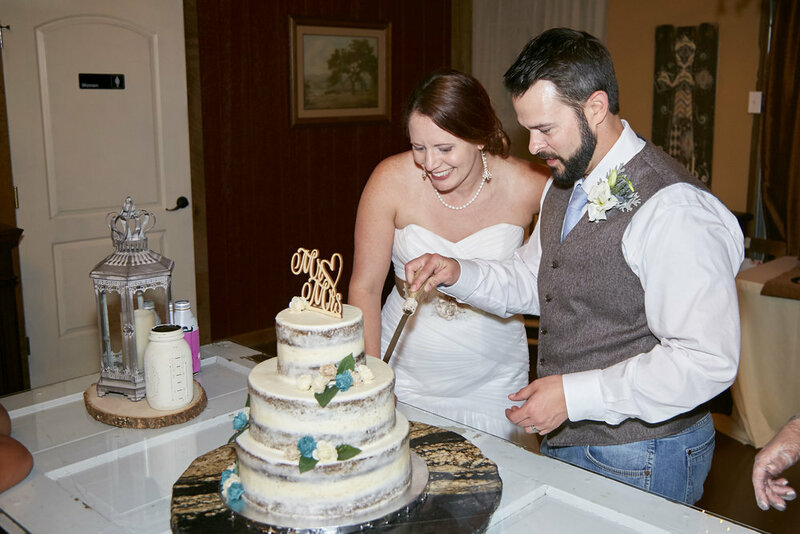 From planning the wedding to fixing our house after it flooded during Hurricane Harvey. We are able to talk things through without getting upset with each other. Throughout planning the wedding, I would show Jeff things that I liked and we would talk through the decisions together. This wedding was truly a joint effort from us. What were some of the most special wedding details or projects, and the story behind them? I think the most special things, was having Jeff’s kids stand up at the alter with us rather than friends. Most of the time, it is just the four of us, so we really featured what is important in our lives. They certainly gave us some laughs during the ceremony from standing against the pillar like a model to announcing the need to go to the bathroom. For us it just showcased everyday life. My favorite part was the ceremony. 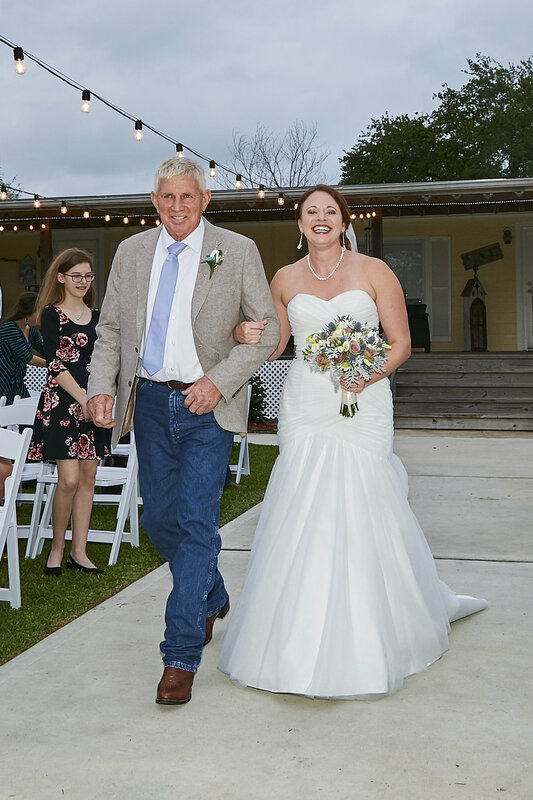 I was so excited to walk down the aisle with my dad towards the man of my dreams. 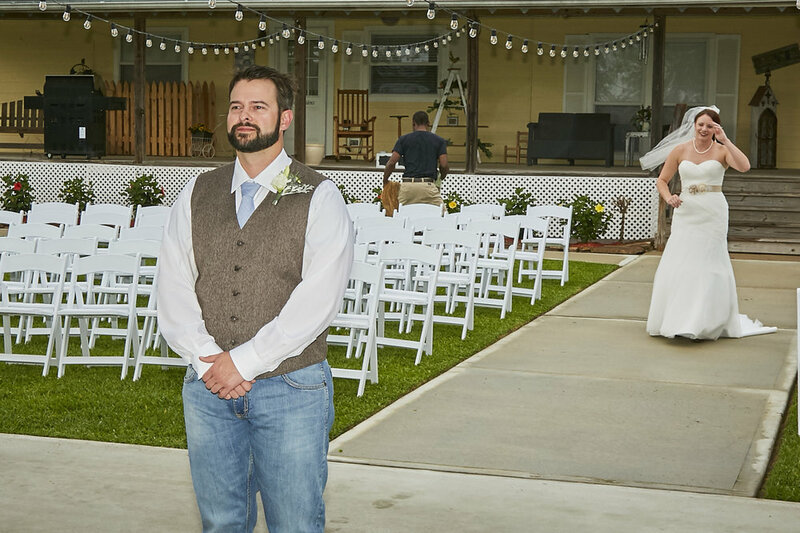 I was afraid I was going to cry the whole time, so we asked Terrence (the officiant) to make jokes and keep things light hearted. Magek Photography captured pictures of us all laughing which is our everyday personality. Then to have the kids up there with us made everything just that much more special.